The majority of dentists who completed a recent survey, feel that patients are prevented from getting the best care due to the way dentistry is run in the UK. A survey conducted by ITV Daybreak, quizzed more than 340 NHS dentists and found that many dentists were of the opinion that they could have given a patient better treatment, but were unable to due to limitations imposed by the NHS system in England. WHAT IS POOR DENTAL TREATMENT? Poor dental treatment can consist of numerous situations and whilst the majority of dentists will carry out work or treatment to a patient to a reasonable standard of skill and care, unfortunately, there are some cases where negligence will occur and a person will suffer injury and loss as a result of the poor dental treatment. Damage to healthy teeth during treatment. Many of the dentists who took part in the survey expressed concerns that they did not always have enough time to fully carry out the most appropriate procedure and sometimes, for example, a tooth was extracted when it was not always the best option. The Dentist owes the patient a duty to advise them of all available treatment options. The majority of dentist surveyed felt there was too much emphasis on meeting targets, which did not allow them to carry out the best treatment for patients. 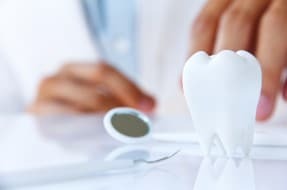 The Dentist would receive the same funding for extracting a tooth as for carrying out more complex and time consuming treatment, such as a root canal procedure, which would save the tooth. It is hoped that the results from the survey will help dentists to be able to work more in line with the patient’s needs, rather than concentrating solely on targets. All dentists owe a duty of care to every patient to provide them with an acceptable level of treatment and this must be irrespective of any targets. Lifestyle issues – some patients are unable to eat properly, following poor dental treatment and unable to enjoy occasions such as going out for a meal with friends. Loss of income – depending on the treatment, the person may require time off work to recuperate and may therefore lose income as a result. The Dental Negligence Team, see many cases where client’s have been subjected to poor dental treatment and our recent cases show examples of the types of cases where we have successfully achieved compensation for our clients as a result of poor dental treatment. For people who have concerns about whether they have suffered from poor dental treatment we would advise them to firstly seek advice from their dentist and/ or another dental professional. It is also advisable to obtain advice from a specialist dental negligence solicitor, such as the lawyers in the Dental Negligence Team who specialise in dental negligence cases, who will be able to advise and consider whether the treatment has been performed negligently and whether you are entitled to compensation as a result.